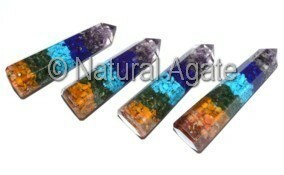 Orgone Chakra Obelisk from Natural Agate is 10-4inches long. It weighs 80-90gm. Place the obelisk anywhere in the house. It will keep your body, chakra and aura clean and balanced.